Want to read more about what's it's like to travel on a CHA educational tour? Here are just a few of comments we've received from teachers who traveled on CHA tours during our 2017 season. If you need more information, please call us toll-free at 1-800-323-4466 and we'll be happy to provide a list of references in your area. You can also read more CHA tour reviews online at https://www.trustpilot.com/review/cha-tours.com. "CHA is the best in the business. You get what you pay for, and it is worth every penny. No unexpected expenses once on tour which is not the case with other companies. Excellent hotels. Top-notch guides. Great staff. I could go on. All aspects of CHA make it easy to take students abroad." "Our tour was a success from beginning to end. Once the tour started, we saw such incredible sites that often I saw members of our group awed with mouths open. Overall, this tour was one of the best we’ve ever had." "It was an excellent tour and so well organized. Our tour director Corinne was exceptional. She was so knowledgeable, helpful and gracious. She worked very hard to make the tour pleasurable for everyone. She had good advice and shared places to visit when we had free time. The students and adults in my group were very satisfied." "We were very pleased with the tour we received. Special congratulations to our CHA Tour Counselor who always kept me abreast of the latest trip details, and also to our Tour Director Lance for his vast wealth of knowledge and his willingness to adapt every situation to our needs." 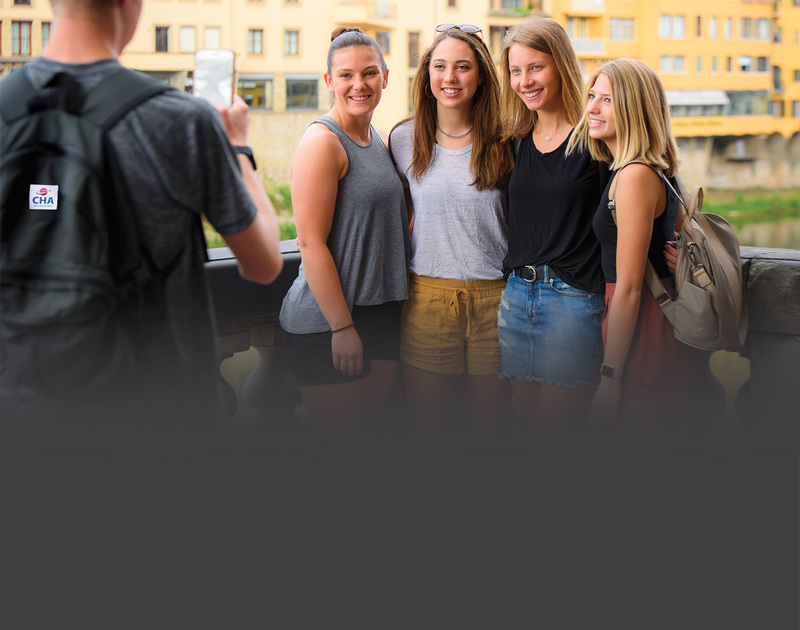 "Over the past 40+ years, I have taken students and adults all over the world with CHA and each trip has been so well thought out, fun-filled and always a wonderful way to see the world. Our guide, Victor, was exceptional. Our group really enjoyed him immensely." "The tour was outstanding. We had an amazing tour director, super professional and knowledgeable. Hotels, food and flights were very good. The tour met everyone’s expectations. I’m so happy I travelled with CHA again. We are ready for the next adventure." "As a teacher, I could relax and enjoy the trip with my students and learn so much from the guides as we took in the beauty of the scenery, the wonderful museums and sites. It was an amazing experience that allowed for us to come back home energized and inspired!" "Once again, CHA has provided a tour with just the right balance of education and free time. The participants had a great time due to the expertise of the local guides and our phenomenal tour director Alessandro. He is articulate, knowledgeable and very flexible. This is my 8th tour with Alessandro and like a fine wine gets better with age. Another great CHA tour!" "Ivy is a fantastic tour counselor and has helped me plan four consecutive trips with great professionalism. Simone is a wonderful Tour Director and after our first trip to Italy I requested her again for this trip. She really helped us navigate the London tube and Paris metro. Her leadership is that of a well-seasoned director. Overall, the trip was out of this world." "This was a wonderful trip! We found that everything and everybody on the staff of hotels and restaurants as well as the tour guides wonderful. Thank you again!"